I just have a few random things aka “stuff” to share with you. 1. In case you missed the news, I‘m starting a podcast with Andy Deas. Yes, that Andy Deas. How did I do that? Well I’m super seductive, that’s how. Click this and like the Facebook page, because that is where updates and questions and interactions and what not will be done! 2. Today on twitter, me, @dwendel @evolutionarypsy @paleoperiodical @pranapt @cliftonharski @primalrush managed to solve the safe starch debate. Potatoes: Not safe. This proves it. So clearly this proves beyond a reasonable doubt that potatoes are not safe. It also proves that people in the south are UGHMAZING. Also, sweet potatoes are even more dangerous due to there pointy tip. You’re welcome for solving the safe starch debate. 3. 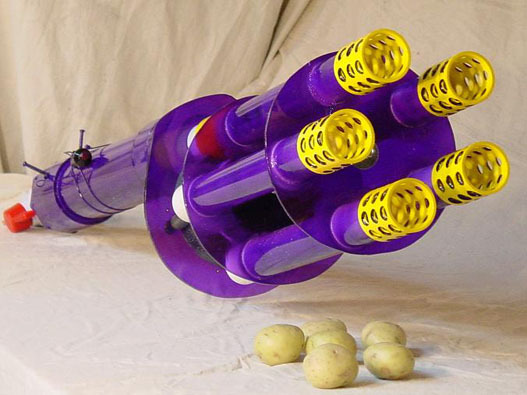 Some ‘researchers’ said that egg yolks are worse than cigarettes, (really it was press that said that), I would like to shoot their lab with the potato gun from above. Here are some articles demonstrating why those researches/reporters are less than reliable. 4. I haven’t posted any vids of me training lately, because I hadn’t been due to surgeries. Well, its been a WHOLE 2 weeks post 2nd surgery, so it’s time to get after it again. 5. Seriously, go “LIKE” the BA podcast page. It’s gonna be mind bottling. And I have a pretty cool announcement for the first podcast. 6. If you’re looking for some distance coaching, I’m taking another 4 people. bottle. . . bottle . . . bottle . . . bottling — I’m stumped! Bottling, as in my mind has been bottled. Trapped. Caged.